How a journey to East Africa opened this conservationist’s eyes as to what she could still do for the world and the animals in her care. It’s a word Sylvia Mantella uses often. It’s usually to describe how she measures a charitable cause to which she may lend her considerable credibility, or how a particular charitable or social cause may resonate with her personally. Authentic can also be used to describe Mantella. She is one of Canada’s leading, most-admired and respected philanthropists, sitting on 13 committees and/or advisory boards. As the chief marketing officer of Mantella Corporation, she also brings her professional expertise to every cause in which she becomes deeply involved, such as children’s issues or her well-known support and leadership role in promoting Canadian fashion and culture. This passion has evolved to become a major centrepiece in Mantella’s life, as well as her family’s, including her husband, Robert. Today, it has had a most-tangible and authentic impact on them. And it all started with a solitary two-toed sloth. While renting a home with her family in Palm Beach, Fla., Robert became acquainted with a man who owned a zoological rescue centre in Miami, and who asked if they would be interested in fostering a young, orphaned two-toed sloth for two weeks as his rescue centre was short-staffed on volunteers. “We did, and by the end of it, it was so hard to give her back,” she says. This was about the time Sylvia and Robert were thinking of buying property in Florida, and they had a conversation that Mantella recalls happened so “authentically” about what they could do to help wildlife conservation in South Florida. They purchased 20 acres outside of Palm Beach with a home in the centre of the property and two lakes on-site. 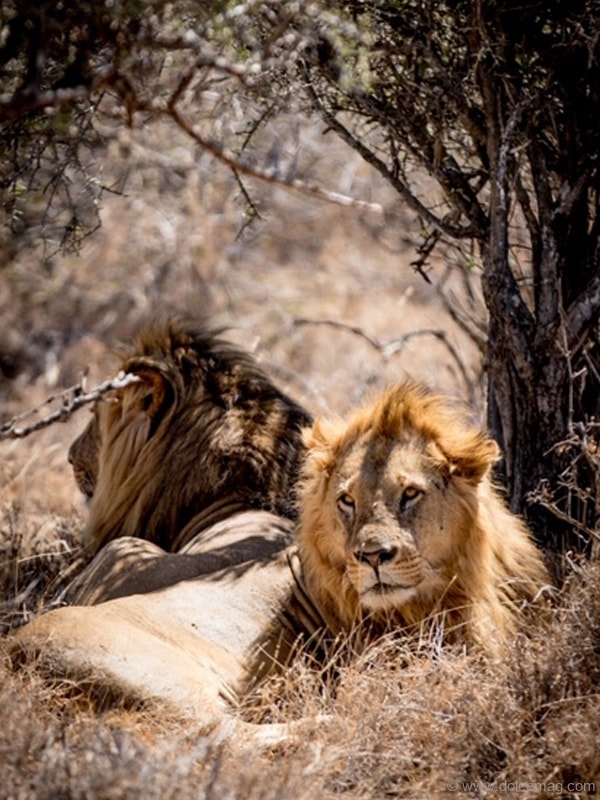 As the realization became abundantly clear to them that there was a need to provide a refuge for numerous abused, neglected or displaced animals, they went through a vigorous process to acquire the permits and licences needed to safely house exotic animals, and the sanctuary was born. They chose to build out and place multiple habitats for the different species of animals around their family home. 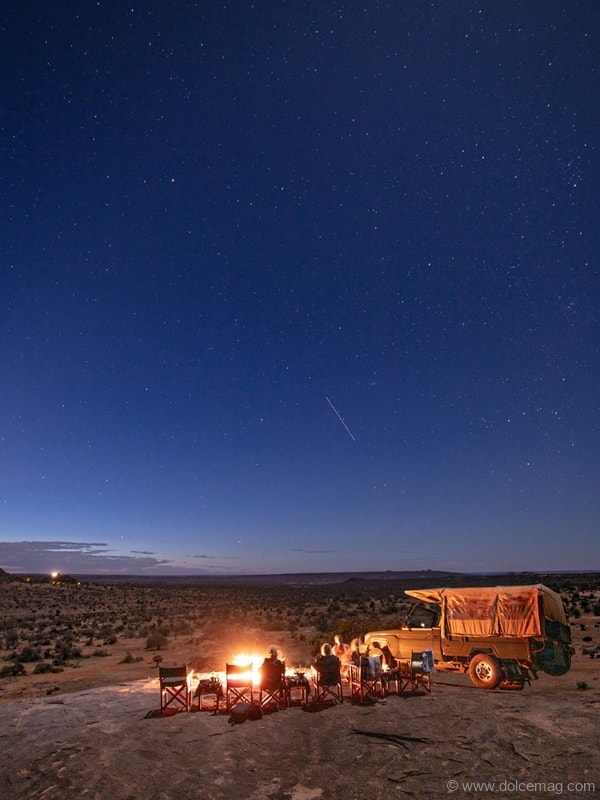 Foreseeing significant growth after just two years, an opportunity was presented to them to purchase the neighbouring property with an additional 20 acres, and the sanctuary grew and evolved organically over time. The sanctuary that Sylvia and Robert built is now a wildlife conservation area to more than 250 animals, including big cat species such as Bengal tigers, lions, a critically endangered Amur leopard of which only 35 are globally accounted for, cougars, two-toed sloths, owls, spotted African hyenas and multiple primate species, from gibbons to bonnet macaques that were once either in dangerous environments, experienced abuse or neglect. 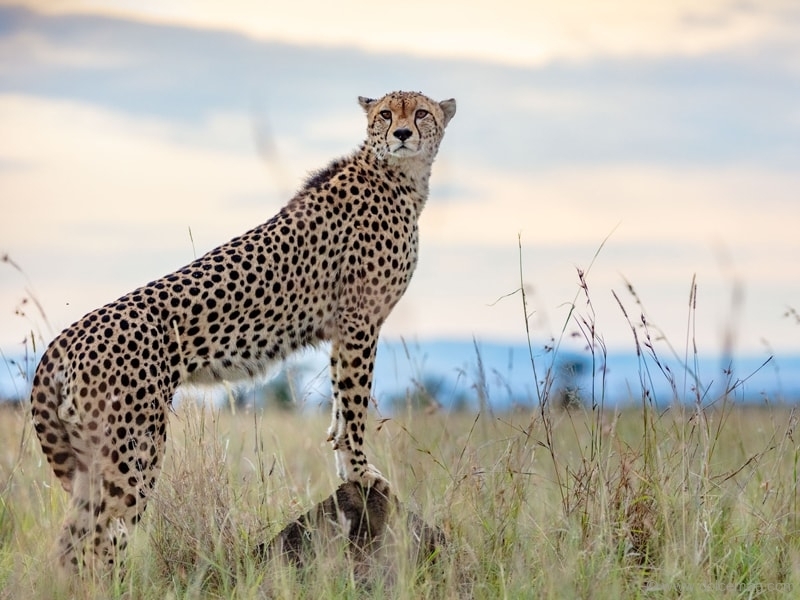 The sanctuary has an on-site vet clinic and 14 full-time zoologists, handlers and staff all working together in the best interests of the animals, which are monitored 24-7 via 200-plus surveillance cameras. 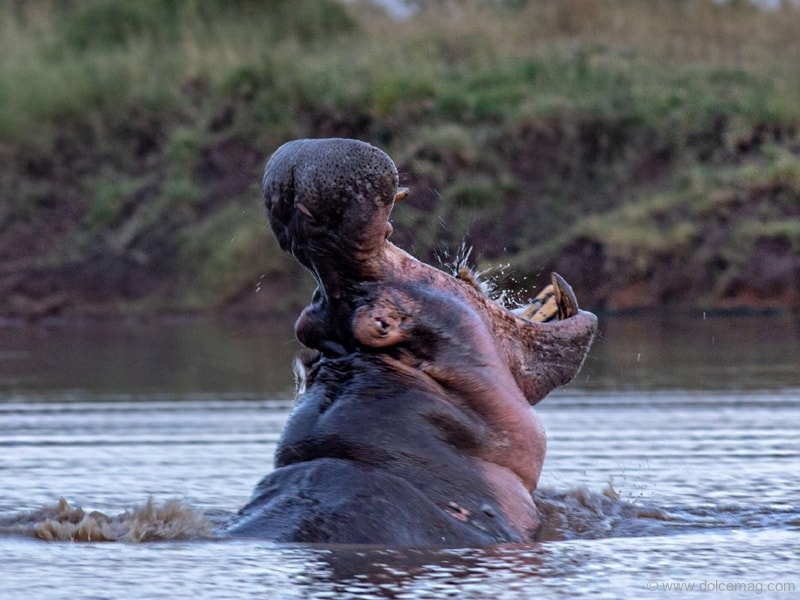 As testament to her passion to expand her knowledge of conservation and to experience world-leading programs first-hand, Mantella recently took an extensive trip to East Africa. There she visited with leading organizations with vast knowledge of and success in land, water and wildlife conservation. 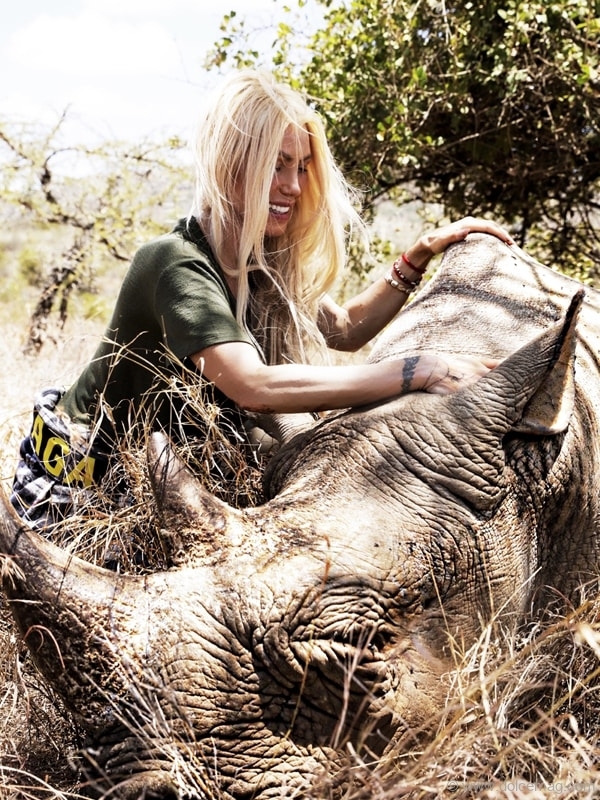 She visited the Ol Jogi Wildlife Conservancy in Kenya, a 58,000-acre safe-haven for the preservation and future development of wildlife conservation, recognized for pioneering ways to protect wildlife and their habitats, especially the black rhino. 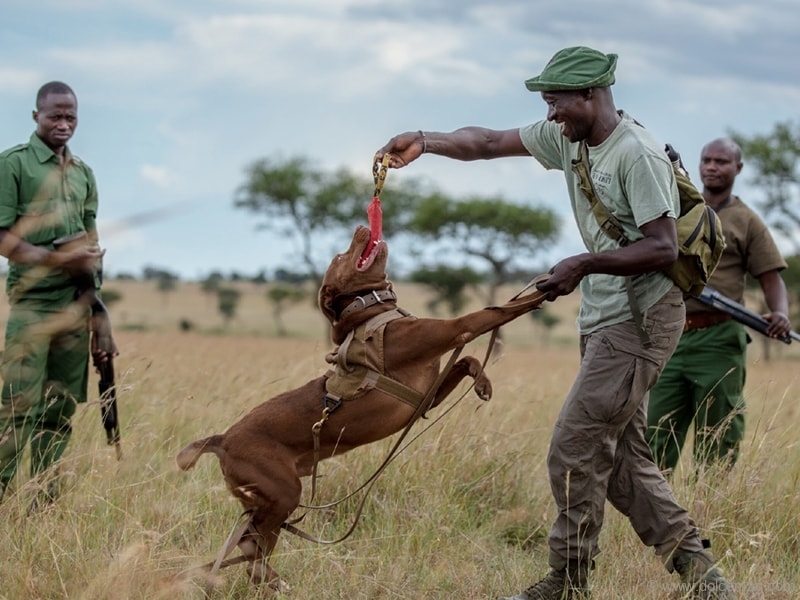 The border of Ol Jogi is under constant protection by armed guard and anti-poaching units. Rhinos are under severe pressure, as the black-market price poachers get for a rhino horn is now US$65,000 per kilogram, which speaks to the demand. That’s the battle wildlife conservationists are up against. In Tanzania, she learned from the Grumeti Fund, a non-profit organization which took an ecologically degraded region in the plains of the Serengeti and in just 15 years turned it into 350,000 acres now teeming with wildlife through ongoing active efforts in environmental land preservation, water growth and conservation, critical anti-poaching units, law enforcement and community outreach. “When I asked how it was possible that the organization was able to make such tremendous strides in such a short period of time, the managing directors didn’t hesitate to give full credit to Microsoft co-founder Paul Allen and his quest to save the world’s most-endangered animals,” she says. 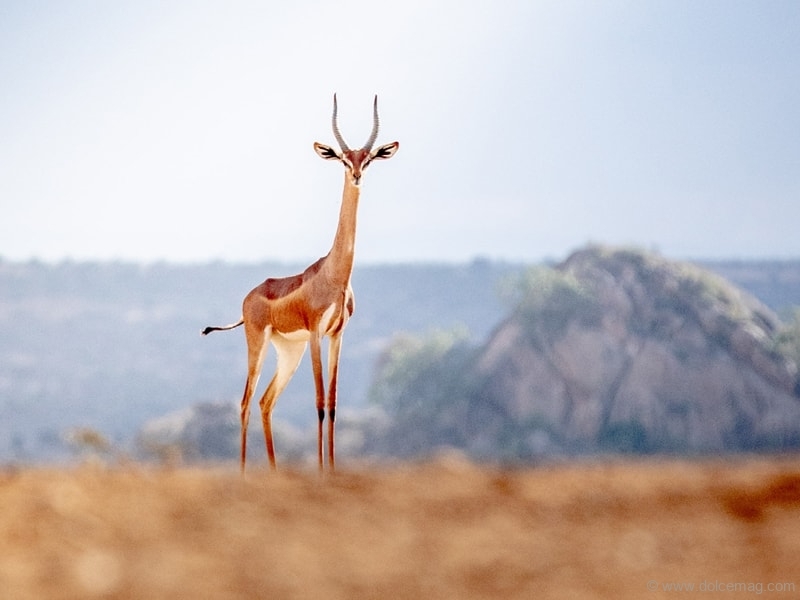 “Every move the Grumeti Fund makes is so meticulously and thoughtfully orchestrated to ensure their footprint is as minimal but as effective as possible. She also spent time learning more about the complex intellect and family structure of elephants with the Kenyan Sheldrick Wildlife Trust, which operates the world’s most-successful orphan elephant rescue and rehabilitation program: 244 orphans raised, close to 6,000 veterinary cases attended and 14 fully mobile desnaring teams in operation. Up to 35,000 elephants are being killed every year for their ivory. 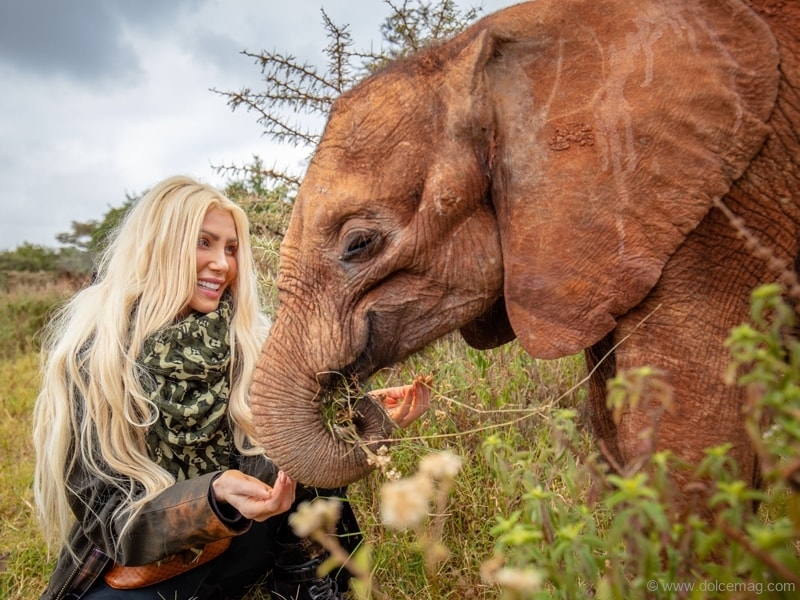 Sheldrick also offers opportunities to adopt orphaned elephants from four months to three years of age at Giraffe Manor outside of Nairobi, where Sylvia stayed. 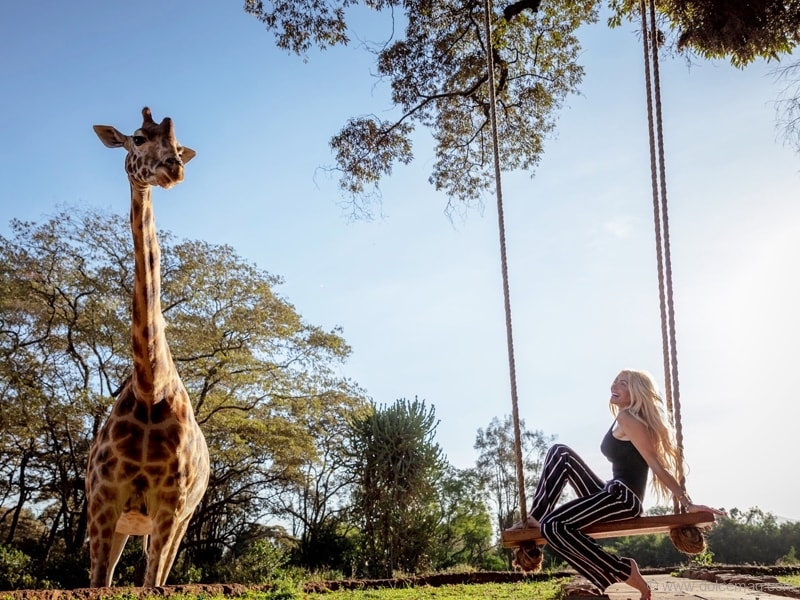 A boutique hotel set on 140 acres, it offers human interaction with its resident herd of wild Rothschild’s giraffes to raise awareness of the crisis facing giraffes. 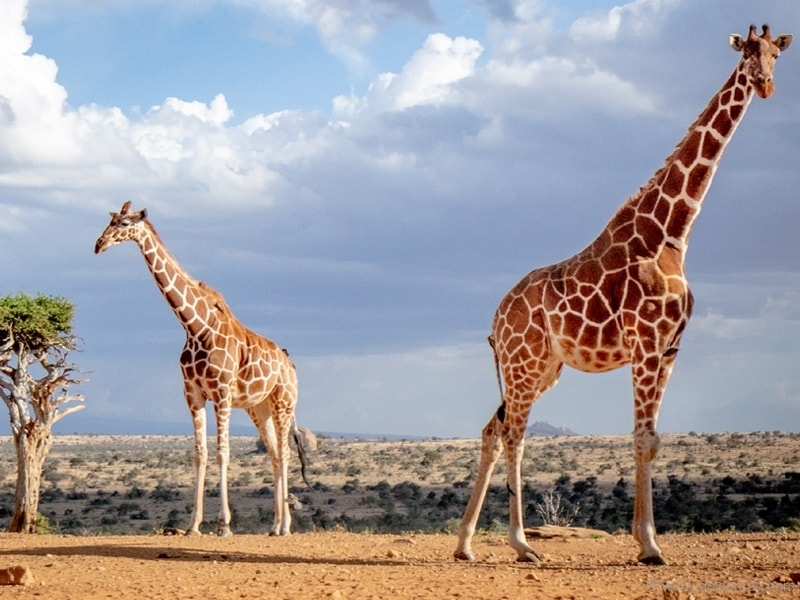 An estimated 100,000 giraffes remaining in Africa, a number which has dropped 40 per cent in the last 30 years, are being poached for reasons ranging from commercial bushmeat trade to pillow covers, placing them among wildlife’s endangered species. 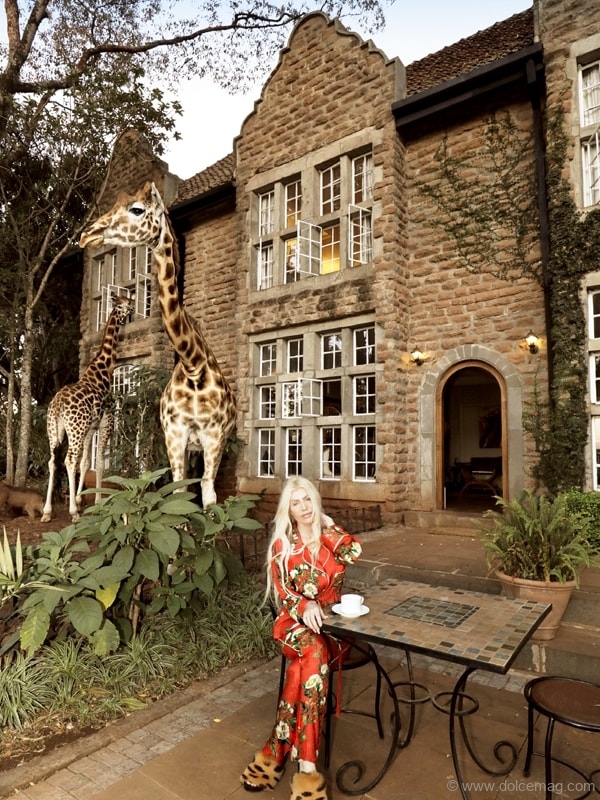 For Mantella, Giraffe Manor was a special experience. In her genuine and authentic manner, Mantella returns to her Florida animal sanctuary to implement her insight, perspective and learnings that will no doubt greatly enhance the work she is doing for wildlife conservation.